“RADAKS” was established in 2000 in Poland. The company headquarters, production plant and warehouse are located in Włynkówko near Słupsk. Today, “RADAKS” is known all over Poland as a producer and supplier of window rebate vents, which are used by joinery manufacturers. The aim of our company is to provide comprehensive services, starting with the order, production, assembly and reuse for all PVC systems for the production of joinery, both new and existing one. The plans of our company include further growth of the market share and continuous development of offered products. Our main goal is to collect information about the needs of the customers and to meet their requirements by offering the best possible products. 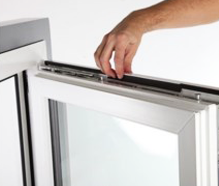 The Pomeranian company “RADAKS” s.c. offers the “Opti-Air” window rebate vent for vertical installation with the horizontal assembly option, ensuring a constant air supply. 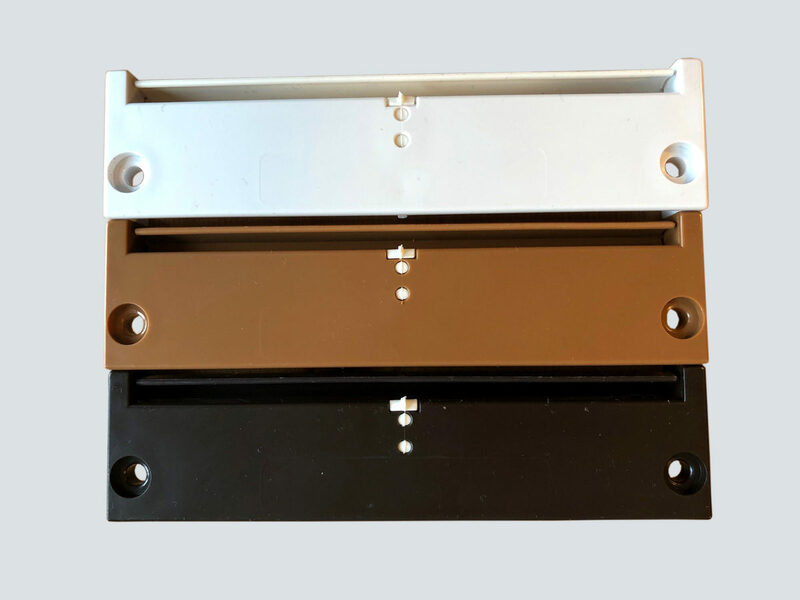 The vents are manufactured in three colour versions. 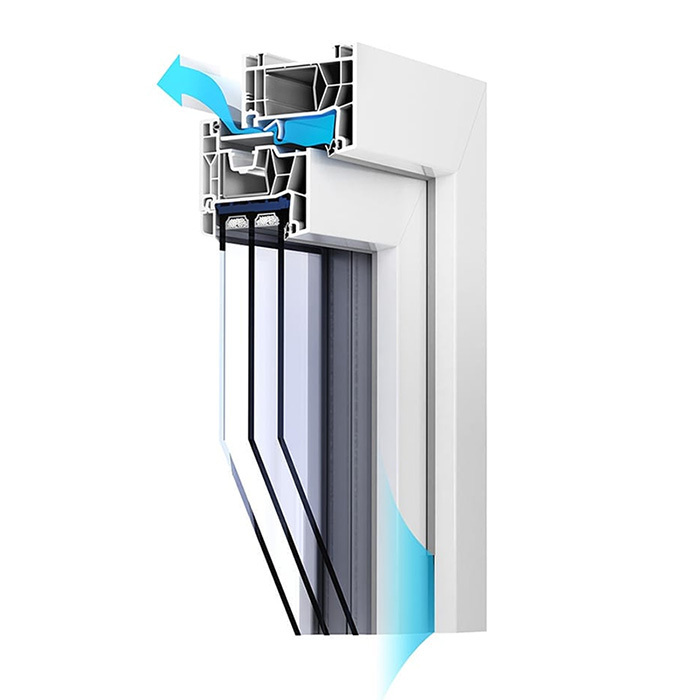 Windows equipped with such vents enable systematic removal of carbon dioxide and moisture causing mould growth from the room, without the need to open the window. This is particularly beneficial in the winter, when we spend so much money on heating and opening windows is a huge energy waste. The existing building regulations and standards only seem to “think thermally”, forgetting about people and their need for a healthy life. At the beginning of the investment cycle and during its term, we are not able to check how important a properly designed and executed ventilation will be in the “thermally renovated” building. A too one-sided approach to heat saving can therefore lead to a contradiction between quality of life and quality of health. This problem should be noted by architects, installers and window manufacturers alike. 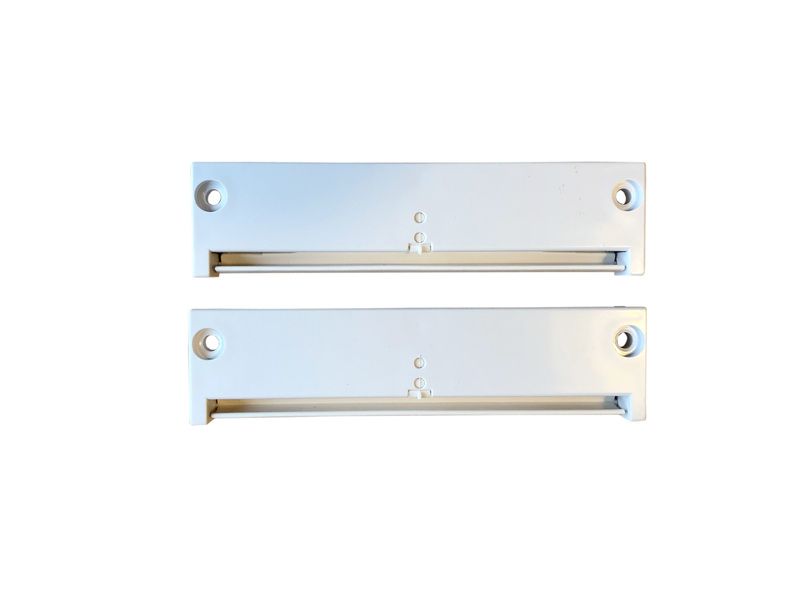 By far the lowest costs are incurred when the vents are installed by the window manufacturers. 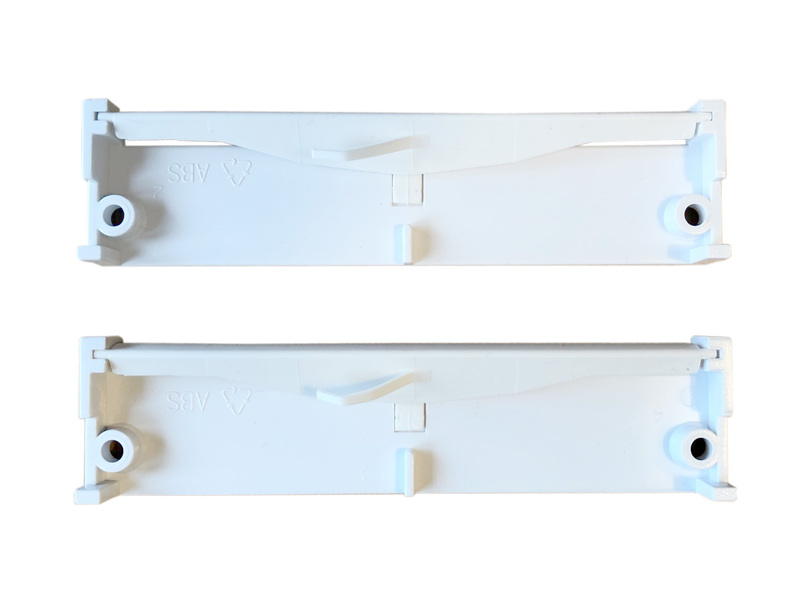 Many of them already use vents in their products, and some are thinking about introducing rebate vents as a standard into their products. It is only a matter of time. Certainly, their introduction into common construction practice will end the nightmare of “crying windows” and mould on the walls of apartments where modern window joinery is used. At the same time, housing cooperatives will save problems with grumbling users who, unaware of real problem source, will always direct their grievances to the owner or administrator of the building. 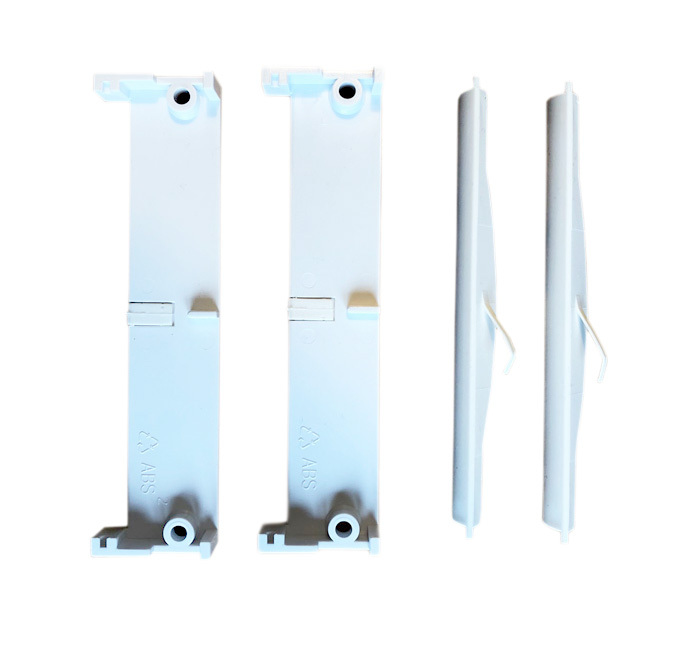 We take into account the individual customer needs, therefore our air vents can be fitted to existing windows without damaging their structures and with window warranty intact. 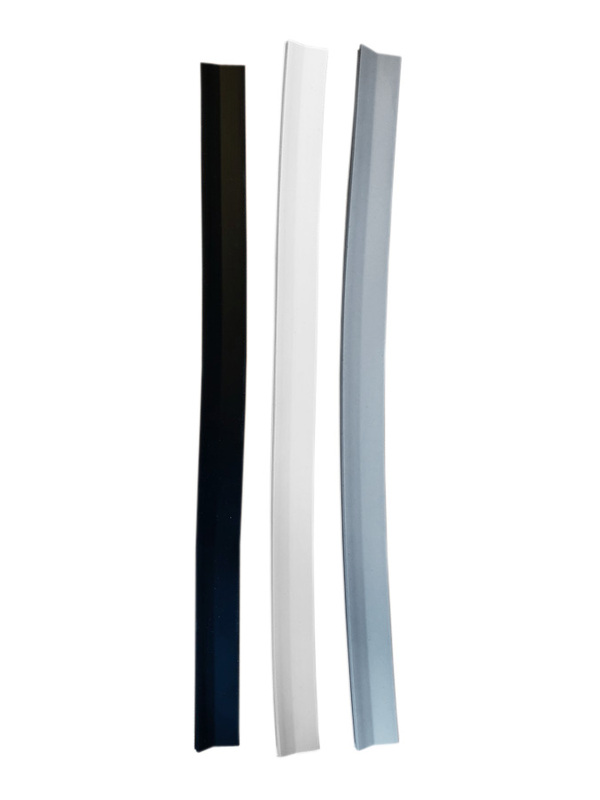 There is still a race in progress which of the window joinery manufacturers will achieve a better air exchange rate. Of course, all of this has to do with the economy. The more airtight our building is, the less money we spend on heating it by reducing heat loss. Therefore, everyone strives to make a thermos of their home. For many years, the designers used to assume that fresh air enters the flats through the gaps between the window sash and the frame, between the frame and the wall, between the window pane and the wooden frame. The problems began when high-quality windows with sophisticated fittings and glass panes appeared on the market, which until recently had been unimaginable in terms of insulation. It is a paradox that better materials are used to create buildings that are less human-friendly. Research conducted in the West on the Sick Building Syndrome has confirmed that the main cause of illnesses among people living in such buildings is poor air quality. If not properly ventilated, it is chemically and biologically contaminated to a catastrophic extent. A significant reduction in the construction time of a house from 5-7 years in the 70s to 2-3 years at the end of the 90s resulted in the new building often not managing to get rid of the substances and chemical compounds contained in the materials used in its construction, as well as water present in the foundations, walls and ceilings. Contrary to appearances, the situation deteriorates when we start a gas kitchen. During combustion, gas extracts oxygen from the air and releases carbon dioxide and water vapour into the environment, which are the natural products of its combustion. This results in damp walls, misty windows, wet towels in the bathroom, wallpaper falling off, mould, stuffy air, malodour and unpleasant smells that permeate our clothes, as well as bad mood and general irritation caused by excess carbon dioxide and lack of oxygen in the surrounding air. We are often troubled by allergic hypersensitivity, which is also a result of the lack of proper ventilation in our homes. In modern countries, which earlier than Poland realised the need to save energy and replace used windows with state-of-the-art, more airtight ones, the issues of healthy living and health protection are strongly emphasized. 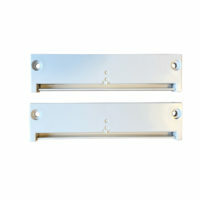 Window air vents are commonly used there, the so-called compact window ventilators. 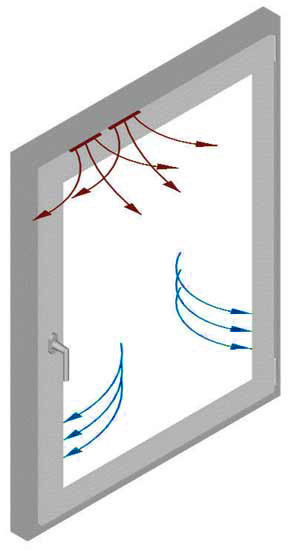 They are located in the upper part of the window (in the frame), as a result of which fresh air enters the room, forcing the action of gravity ventilation and removing stale and damp air from the room. 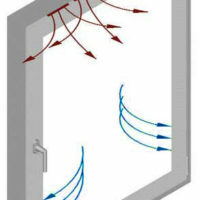 Ventilation of flats has become a frequently discussed topic recently. 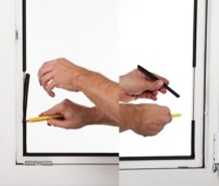 The tightness of windows has led to numerous problems in recent years. In order to prevent damage such as mould caused by moisture, a constant exchange of air is necessary. Thanks to our vents you can easily and economically obtain the necessary ventilation of your apartment in accordance with the standards. 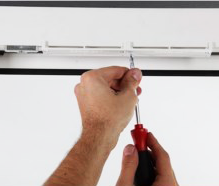 if you install them yourself, you do not lose the warranty on your windows. The way our vent is ventilated is purely mechanical: it reacts independently to changes in wind pressure near the building. It does not require power or user intervention. 24/7 operation in all weather conditions, no maintenance required. 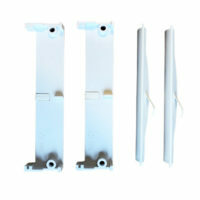 Designed for a wide range of plastic window systems. 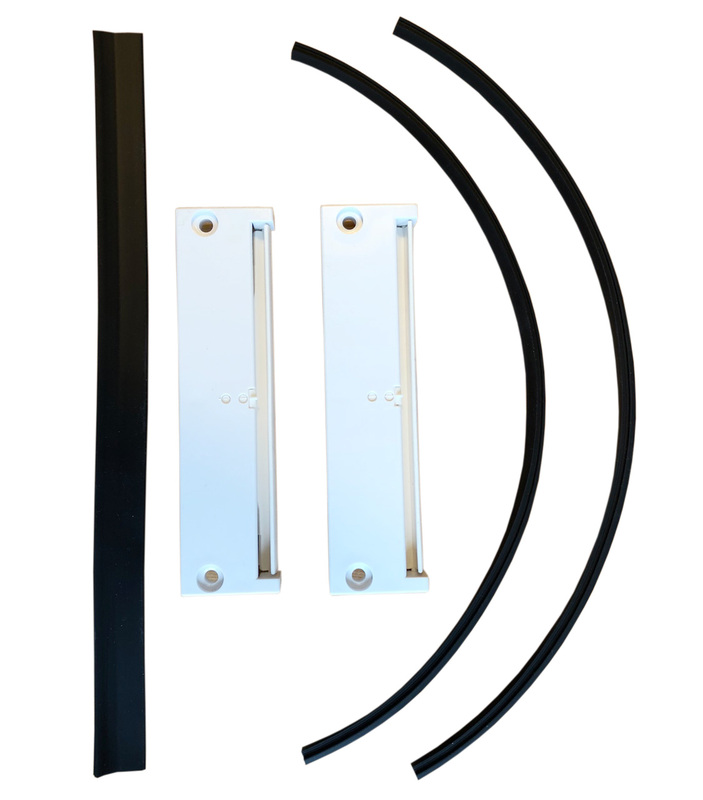 It is suitable for installation both at the plant and in already installed windows. Correct installation makes it possible to reverse the humidity level even in an already damp apartment. WHAT DOES THE “OPTI-AIR” VENT SET CONTAIN? brown (8001 – RAL palette) – 2 pcs. 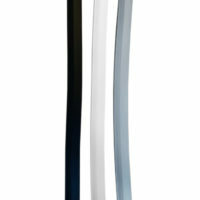 brown (8019 – RAL palette) – 2 pcs. 1. Screw the vent to the upper, inner part of the frame with the supplied 4 x 40 screws (it must not interfere with the proper operation of the fittings). 2. Replace the gasket in the sash and mount it in front of the vent. 3. Replace the gaskets in the frame as follows: on the right and left, measure approx. 5 cm from the bottom edge, cut out the appropriate gasket length and insert the supplied vent.